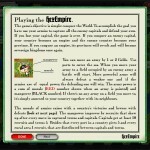 Strategy Fantasy Mini Juegos Click to find more games like this. 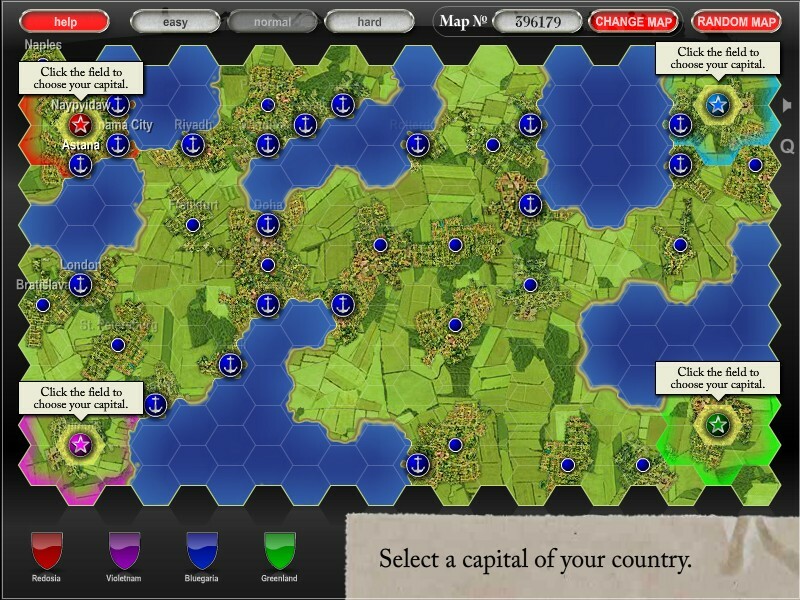 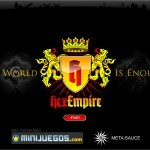 A turn-based strategy game in which you must defend your capital city and try to conquer enemy capitals. 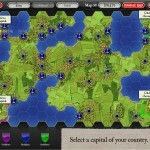 Choose your country by clicking on one of four capital cities placed on the map. 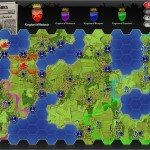 Move your armies and try to capture all enemy capitals. 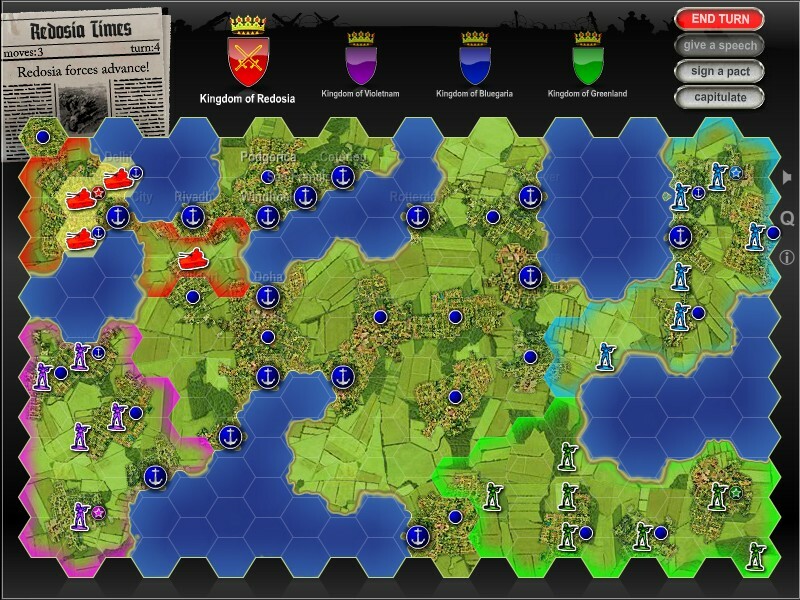 You have up to 5 moves per turn, but you can move any army only once per turn. 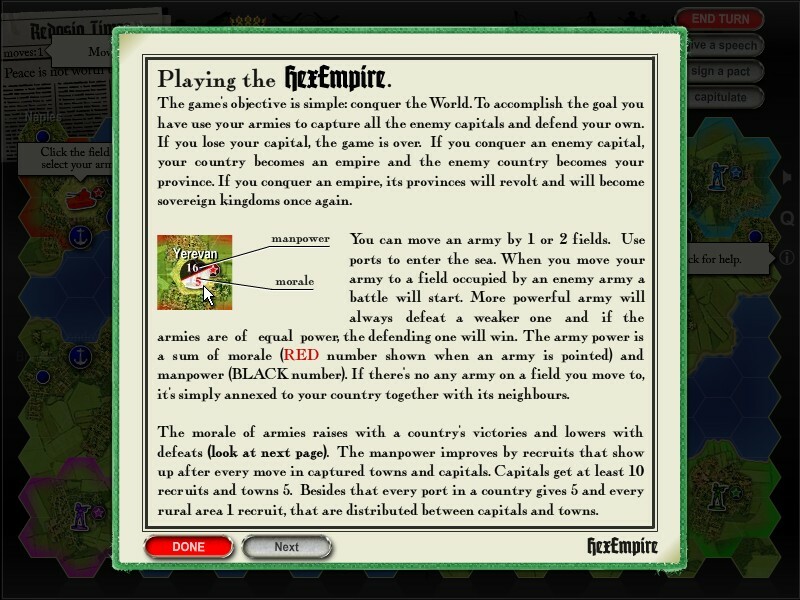 If you lose your own capital the game is over.